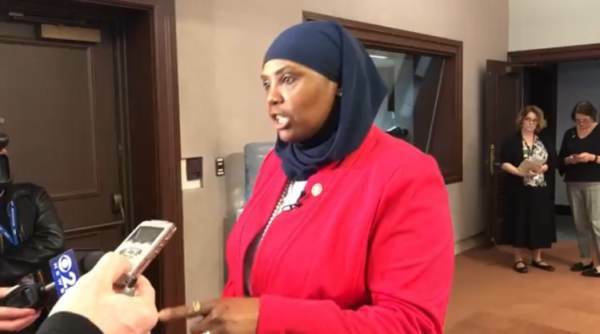 A newly elected Representative and the first Muslim woman in the chamber, Movita Johnson-Harrell, who was set to be sworn in said she was outraged over the prayer, and stated that she wanted Borowicz censured for daring to give a prayer! In addition to her demand to censure the Christian lawmaker, she called her “Islamaphobic”, as she dared give a prayer before her! The Democrats are saying that it is not allowed for Christian legislators to practice their religious prayer, because it is offensive to Muslims, but Movita Johnson Harrell was given special permission to wear a hijab which is an outward profession of compliance to Sharia law. Sadly, now we have Democrats pushing for religious tolerance, but that tolerance is not applicable for Christians! Furthermore, punishing Christians for praying to God is applicable under Sharia law! Do Democrats no longer believe in the Constitution of the United States, or have they bowed to the radical Sharia Law! After all, we either live under the Constitution, or we live under Sharia! Neither are compatible, therefore, Democrats cannot have it both ways!